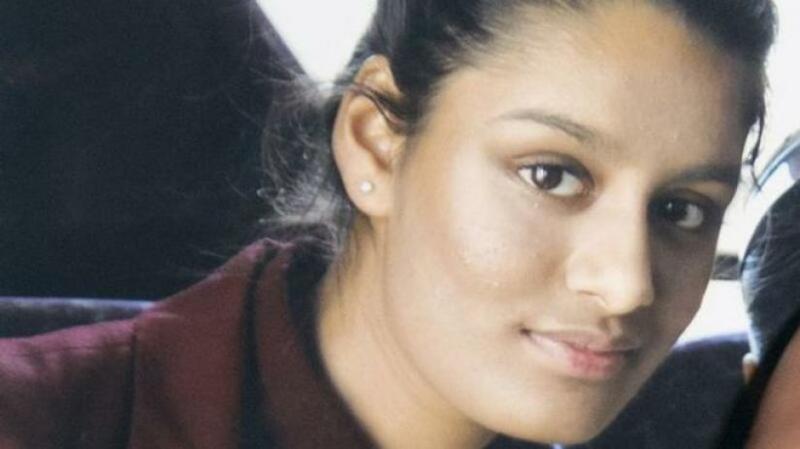 A British girl of Bangladeshi descent who fled to join Islamic State (ISIS) in Syria as a 15-year-old schoolgirl in 2015 has appealed to the UK government to allow her to return to Britain. Shamima Begum, now 19, was traced to a refugee camp in Syria by a war reporter, who found her heavily-pregnant with her third child and keen to leave the war zone for the safety of her unborn child. "I'm not the same silly little 15-year-old schoolgirl who ran away from Bethnal Green four years ago. I don't regret coming here," Begum told ‘The Times’ in her interview. “I really want to get back to Britain because I know it (unborn child) will be taken care of – health-wise, at least. I'll do anything required just to be able to come home and live quietly with my child," she said. Begum was a pupil of Bethnal Green Academy in east London alongside Amira Abase and Kadiza Sultana when the three teenagers hit the headlines in February 2015 as on-the-run jihadi brides – women who choose to marry Islamist extremists to bear them children to carry on the fight. The girls flew from Gatwick Airport near London to Turkey after telling their parents they were going out for the day and later crossed the border into Syria. Ten days later she married a 27-year-old Dutch man who had converted to Islam. She has been with him since then, and the couple escaped from Baghuz – the group's last territory in eastern Syria – two weeks ago. In her 'Times' interview from the camp, she talks about losing two babies – one to malnutrition and the other to illness – an experience she says was a big shock. With her third pregnancy at its final stages, she said it was her concern for her unborn child that contributed to her decision to leave Baghuz. "I was weak. I could not endure the suffering and hardship that staying on the battlefield involved. But I was also frightened that the child I am about to give birth to would die like my other children if I stayed on," she said. Begum said the "oppression" in ISIS territory had come as a "shock" and said she felt the so-called "Caliphate" the group was fighting for was at an end. "I don't have high hopes. They are just getting smaller and smaller. And there is so much oppression and corruption going on that I don't really think they deserve victory," she said. "As a British citizen she has the right to home here. Anyone who goes to fight for ISIS, a dreadful, horrendous group, should expect to be interviewed and potentially prosecuted. The message from the government is actions have consequences," he said.